Integrating lean methodologies, prototyping and food, Ben Melchionno shows us how he uses Justinmind as his primary prototyping tool to improve his customer experience. Let’s see how he’s getting on! 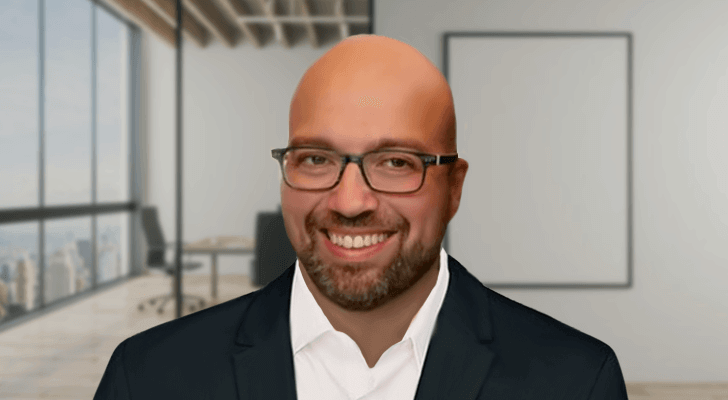 Ben Melchionno has been working in IT for over 15 years, with experience in consulting and management in a number of fields including aviation manufacture, architecture, professional services and intergovernmental environments – namely, the United Nations. Having recently moved into the startup sphere, Silicon Valley entrepreneur Eric Ries’ and his lean startup movement have had a substantial influence on Ben’s professional ventures. Applying what he has learned from lean methodologies to his experience in IT, Ben has launched a number of side projects over the past few years. But it’s his most recent venture that’s really caught our eye. In the summer of 2015, Ben got to work on setting up his own startup, Fogora, Montreal based food service platform, within which he uses Justinmind to improve his users’ experiences. In this post, we’ll see how prototyping with Justinmind is helping him to achieve this by integrating lean methodologies at Fogora. With the Dotcom Market Crash in North America in the early 2000s, there were very few jobs available in Management. Consequently, Ben’s earlier years were spent in Software Engineering, developing out of C++ – an open ISO-standardized programming language. Working at Bombardier Aerospace, Hewitt Equipment Ltd and eventually Deloitte, Ben channeled his passion for technology into developing his skills in Management and Consulting. And in 2015, Ben co-founded Fogora, the cloud-based scheduling platform to support the organization and internal scheduling of the food service industry. In launching the company, Ben says that he has been able to explore his passion outside of technology: food. Trying to understand the challenges and limitations of technology in the food service industry in order to provide a better experience for the customer, whilst maintaining a lean working techniques, have been Ben’s primary goals. He noticed that the organization and scheduling, namely of staff, has been a real concern of many large Canadian food service providers, catering businesses and restaurants, and the amount of time spent on these activities takes away from their main objective, and core activity, of bringing food to the table: the ‘real experience’ for the customers. This is where the lean startup approach kicked in for Ben, as he realized that a lot of time, money and resources are spent in the wrong areas. Fogora helps these companies organize themselves in a more efficient way, in order to provide a great experience for their customers. Download Justinmind today and start implementing lean methods in your design process! When it comes to the lean approach, one of Ben’s personal challenges at Fogora relates to the Canadian East Coast: West Coast divide. Ben lives and works in Montreal on the East Coast, where there aren’t that many schools or courses related to the lean startup movement. As a result, his lean education has pretty much all been self-taught – nice! Ben started to experiment with what he had learned from lean methodology through prototyping. Beginning with PowerPoint, Ben saw that he was able to gain traction and good customer feedback and engagement with his designs, as his clients appreciated the visual layout. After this, he decided to get into feature-rich prototyping, bouncing around to various other tools. Ben decided that the software and tools that he’d tried out prior to Justinmind were not complete enough to allow him to visualize or structure the high-level architecture of the systems he was working towards at Fogora. Ben wasn’t looking for a tool that simply allowed him to sketch and export images – he wanted to be able to build real prototypes that would ultimately give his customers a better experience. This is when he found Justinmind. It’s safe to say that Ben’s no UX expert – how refreshing! He’s a businessman and, with time being his most limited resource, every second counts. Ben used Justinmind to prototype the screens of Fogora’s platform, starting off by building each screen as one big chunk, but when he learned about Justinmind’s Dynamic Panels, it was a ‘huge eye opener’. He realized that you can break up each section of the system, which made it easier for him tweak and rebuild sections without having to rework the entire design. With limited UX/UI experience, Justinmind helping him to understand the UI elements, icons and UI libraries was incredibly valuable. When Ben discovered Justinmind’s extensive range of pre-built UI asset libraries, this helped him to bridge the UI-UX gap further. Having access to assets and widgets that have been designed for users based on existing industry standards, e.g. the shading of each component and standard fonts, Ben saves himself the hassle of having to replicate and build widgets on his own time. In fact, a number of these assets have been built using atomic design elements – the primary building blocks – making it easier to break each down and rework them as necessary. Ben can now focus more on what he and his users really value: the customer’s experience. After all, that’s the lean way! Ben understands the importance of user-centered design – yes Ben! How he architects his solutions, including figuring out where and what would be the big risk areas, and where he’d need to concentrate resources and investment discussions, are Ben’s primary objectives. With Justinmind, he is able to build, test, simulate and iterate a variety of possibilities in answer to these questions. Through building prototypes with Justinmind, Ben is able to build digital solutions that give his clients the opportunity to offer their consumers a better experience, even before any development or coding has taken place. The result? Having seen Ben’s prototyping solutions, many potential customers were quick to ask Ben if they could sign up the week after! We’d like to say a big thank you to Ben for taking the time to sit and chat with us. As always, we’d love to hear about your experience with Justinmind. If you’d like to get involved, just send us a message and we’ll be in touch!